The leader of the Green Party for England and Wales visited the University of Sheffield this week to hear about the pioneering research taking place to tackle some of the world’s biggest challenges. 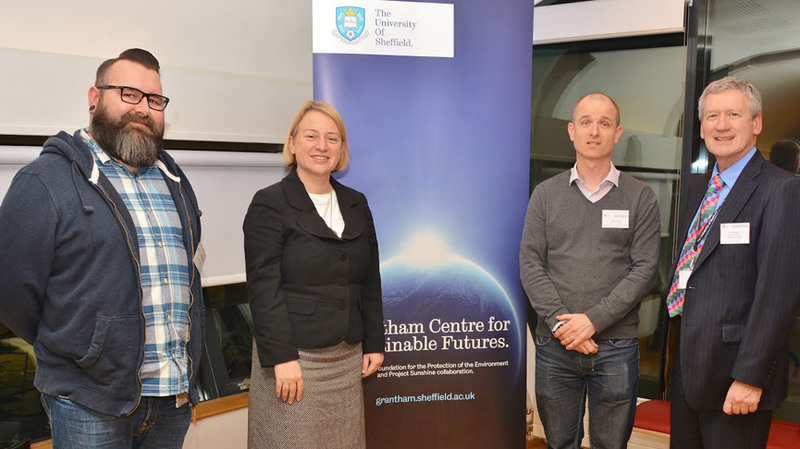 Natalie Bennett met with scholars from the Grantham Centre to discuss its work aimed at helping to deliver food and energy security and creating a more sustainable world. Ms Bennett, who has a scientific background with a degree in agricultural science from the University of Sydney, her home city, praised the diversity of the research projects taking place within the Grantham Centre. She said: “It’s really good and the discussions I have had with students have been fascinating. The Grantham Centre launched last year thanks to a £2.6m donation from alumnus Jeremy Grantham, who wanted to help the University build on its world-leading research into sustainability through Project Sunshine. During her visit Ms Bennett was also handed a copy of the Sheffield Student Manifesto for May’s General Election by Sheffield Students’ Union president Yael Shafritz and praised the union’s efforts to encourage students to vote.